If you would like to include some text alongside the badge to explain it to your customers then please use the following. 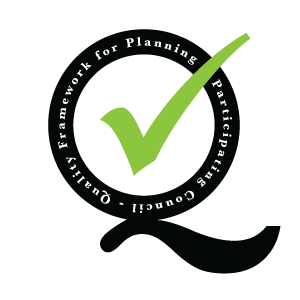 xxxx Council is participating in the Planning Quality Framework. It is run by the Planning Advisory Service for councils that are devoting time to learning about what their customers expect from a high quality planning service. We all have slightly different ideas about what quality is and this can change over time. The Planning Quality Framework helps councils understand, on an ongoing basis, how its customers see quality and supports them to design, deliver and manage their planning service appropriately.